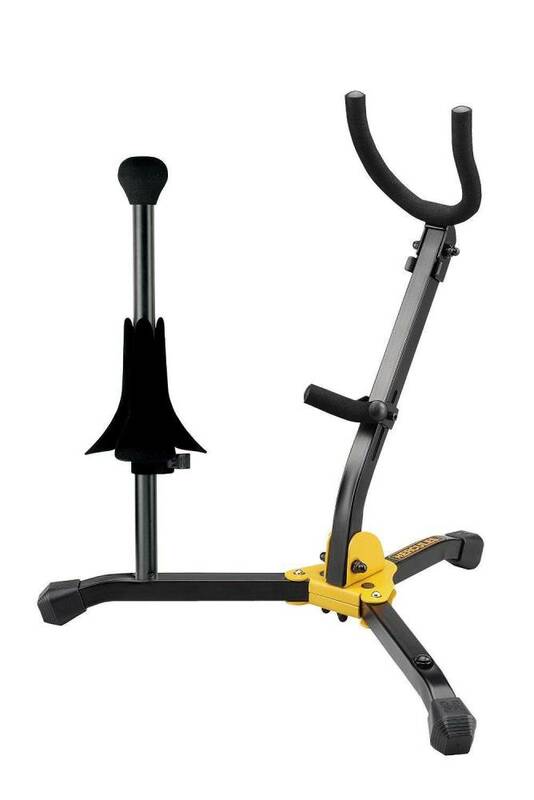 Hercules 1 Alto/Tenor Saxophone and 1 Soprano Saxophone Stand with bag - The Folding Yoke holds your Alto/Tenor saxophone securely on the stand. Adjustable backrest accommodates both Alto and Tenor sax. SFF-coated Soprano Saxophone peg detaches for storage. 1 extra peg hole on the leg lets you store another instrument without using extra floorspace (see available pegs). Swivel Legs with Locking Pin fit around other equipment. Carrying bag included.